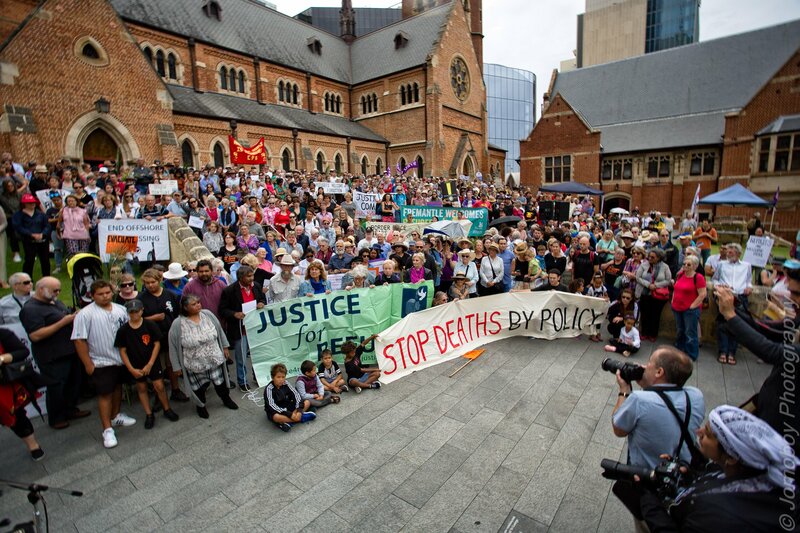 We are a group of civil society organisations, churches and individuals calling for humane policies for asylum seekers and refugees in Australia. Asylum seekers are in need of our protection, not more difficulty, according to the Justice4RefugeesWA network which is organizing the Walk for Justice for Refugees on Palm Sunday March 29, 2015. As part of a national day of action across Australia the group is inviting people from all walks of life to express their dissatisfaction with the current asylum seeker policy in a peaceful walk through the streets of Perth. An end to offshore processing. An end to mandatory detention. Next Next post: Why are you walking on Palm Sunday?